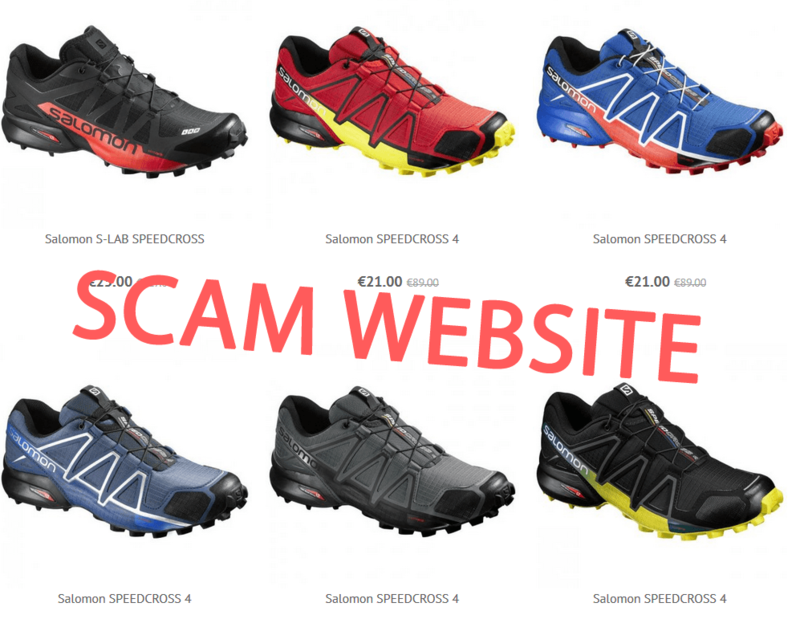 simply identify potentially malicious and unsafe websites. 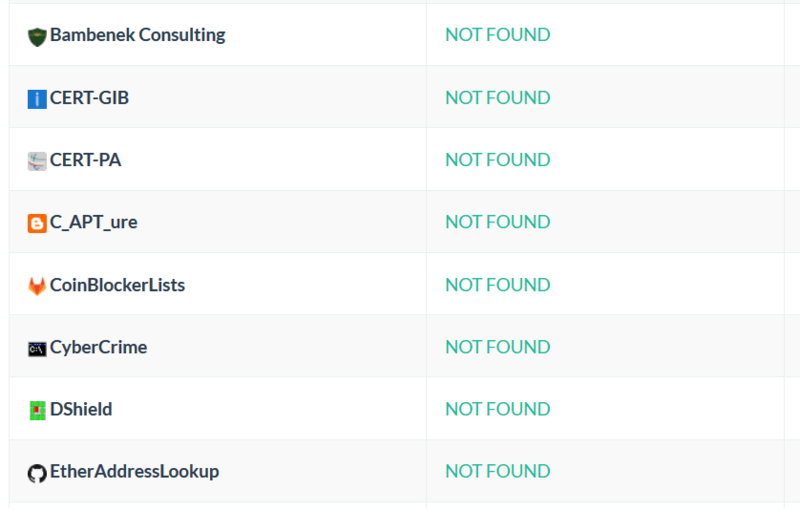 This API is the perfect solution to check if a website is blacklisted. or if you want to know if a website is blacklisted, then you're in the right place. 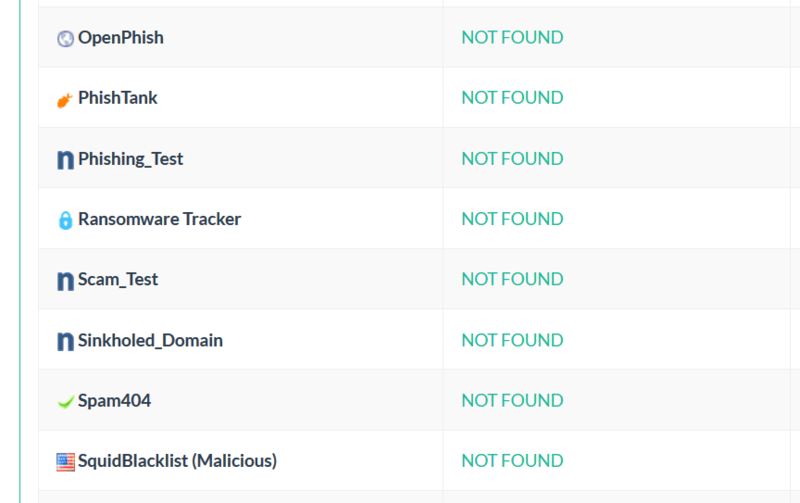 We use multiple blacklists to help you identify malicious websites. You can use this API to know if a website or an online shopping site is safe or potentially malicious. We use public and proprietary blacklists, you can view the detection rate and the engines used. With this Domain Reputation API you can better identify websites that are involved in malicious activities and that may be unsafe for users. 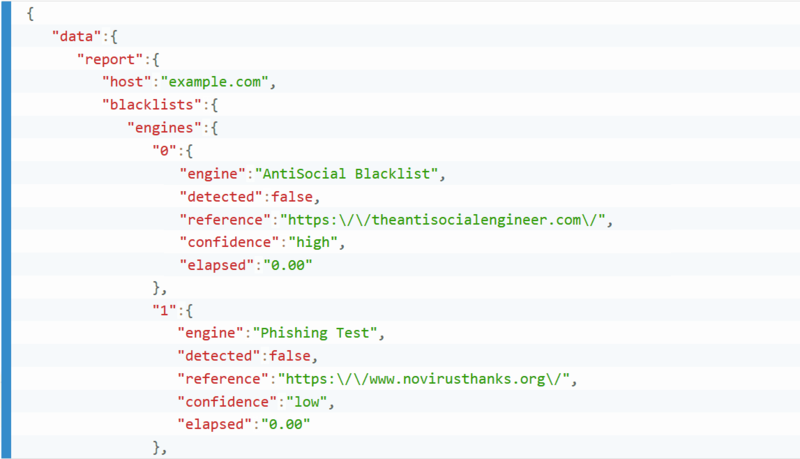 This API can help you spot scam and malware websites and thus know if a website should be blocked or not. We have integrated 3 experimental scanning engines that can detect domains that have been sinkholed, phishing-like domains and scam-like domains. 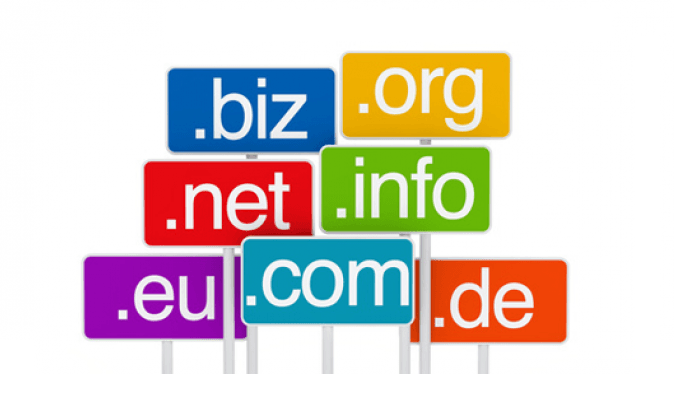 They have a low confidence but can be useful to identify unsafe domains not detected by other blacklists. 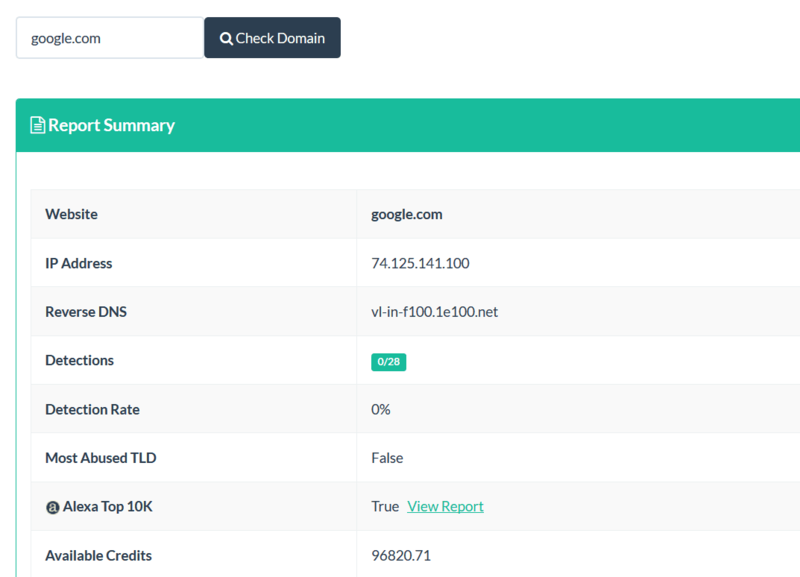 We included a check to detect if the domain TLD is listed within the most abused TLDs (.cf, .ga, .gdn, etc), plus you can view if the domain is listed in Alexa top 10K/100K/250K websites (useful to handle false positives in case a domain has a low detection rate). On your Dashboard we have included a simple web interface for Domain Reputation API that you can use to quickly check if a domain is blacklisted by entering the domain in a web form.